And finally we get his very best, “What are YOU lookin’ at?” pose – as though he totally isn’t digging all the attention! I think the only way he’d like it more is if I had a dead fish in my hands instead of a camera! The bottom photo with the nest is terrific! Hahahaha “what are you lookin at” is perfect! A face that only a mother could love! 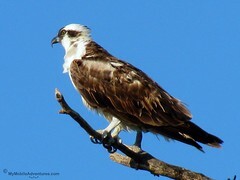 I am crazy about ospreys, watching them on sanibel is one of my greatest pleasures! 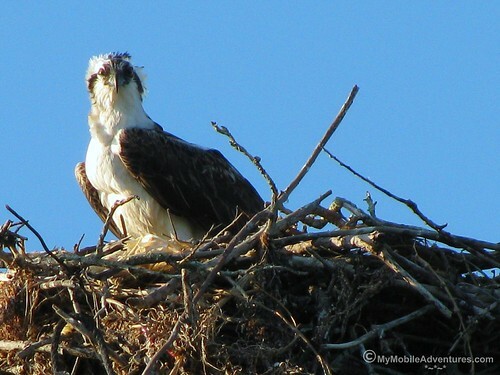 What great shots of the young osprey … love the *cowlick*!!! Wow…that bird is breathtaking as is your photos! My Camera Critters are ‘museum quality’….Click Here to join me if you’d like to view them. LOL at the last pic!! Ospreys are so beautiful. I have been fortunate to see a nest and babies here on the Tennessee River. 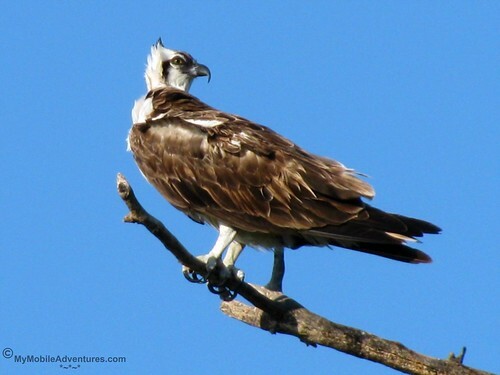 Awesome shots of the Osprey, Tink! They are cool looking birds! Wonderful character shots of this guy! He seems to be posing for you so beautifully!